Nimrod Maluleke graduated with a Bachelor of Law (LLB) degree from the University of Limpopo in 2008. Following his graduation, he started his career as a state legal advisor (intern) at the Office of the Premier Limpopo Provincial government. He later joined Maake Kganyago Attorneys as a candidate attorney, this is where he continued to hone his expertise as a legal practitioner. He joined Legal Aid South Africa in 2012 as a Candidate Attorney, where he was responsible for providing legal advice to clients, preparing briefs, drafting and reviewing contracts amongst other responsibilities. In 2014 He was admitted as an attorney. Prior to joining Mphela and Associates, he served as a legal cost and writs officer at the Road Accident Fund. His key responsibilities included managing costs accounts, financial management, writs reporting and enforcing compliance. 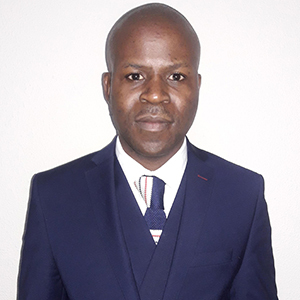 He joined Mphela and Associates in July 2017 as a legal cost consultant, his responsibilities include drafting cost bills, financial and cost management, ensuring that the firm complies with all rules and regulations governing the attorney profession. His studies did not end with his LLB degree, he also obtained a Certificate in Practical Legal Training in 2009 and in 2017 he completed a Post Graduate Diploma in Compliance from University of Johannesburg.